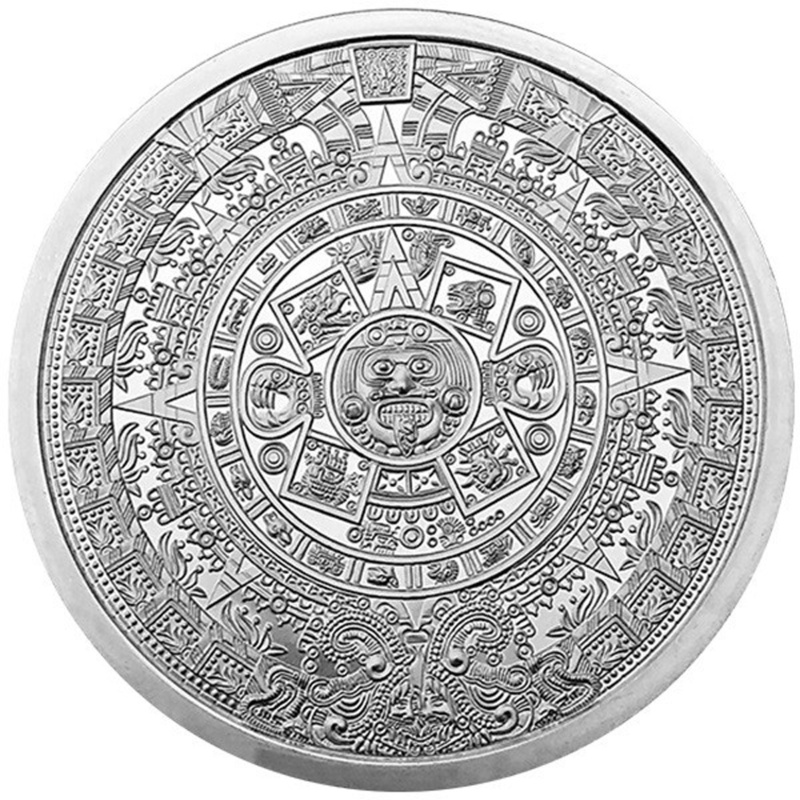 Obverse: The deisign of the Aztec Calendar stone is displayed in all of its beautiful intricacy. Reverse: Displays an image of the last Aztec Emperor of Tenochtitlan, Cuauhtemōc. • Multiples of 20 are packaged in mint tubes.